Is your attic too hot in the summer and too cold in the winter? Does your HVAC system struggle to keep up with the outside temperature? 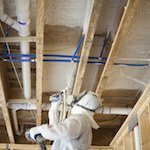 Adding Spray Foam Insulation will dramatically improve your attic temperature, reducing HVAC usage and lowering your heating and cooling costs. 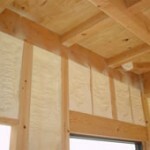 Also, Because our Spray Foam Insulation seals the attic, unlike fiberglass batts or blown in cellulose, a air and moisture barrier is created, improving air quality in your home while reducing dust and contaminates. 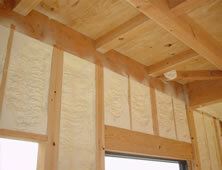 Learn more about spray foam insulation by clicking here. A crawl space is the natural lowest point of your home. As air rises upwards, anything which is in the air in your crawl space will enter the air in your home. Let us protect your family and your home with our high-quality crawl space insulation services. Learn more about crawlspace systems by clicking here. Mold is one of the biggest hazards to have lurking in your home. It causes allergy problems, breathing problems and can compromise the structural integrity of your home by facilitating rot. Don’t give mold a chance – call Energy One America! We employ the most cutting edge technology in home mold prevention and mold protection. We have an entire division of our company dedicated to this service, and to keeping your home healthy and safe. 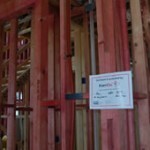 Learn more about Forticel Mold Prevention by clicking here. Call the Energy One America team today at (888) 907-3090 to learn more about how our services can protect your home and improve its energy efficiency! We service homes in cities throughout the Southeast, in North Carolina, South Carolina, Georgia, Virginia and beyond, including, Wilmington, Winston-Salem and Charlotte, NC; Myrtle Beach, Bluffton and Charleston, SC; and Augusta, GA.